I haven’t been working on my riding habit recently because I have been distracted by hot air balloons. 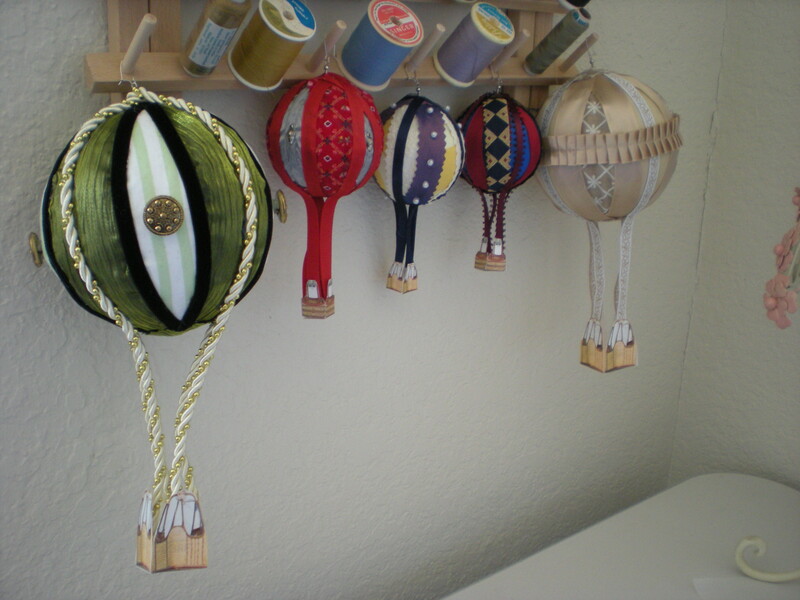 Here they are hanging on my thread spool rack until I can string them up with fishing wire. 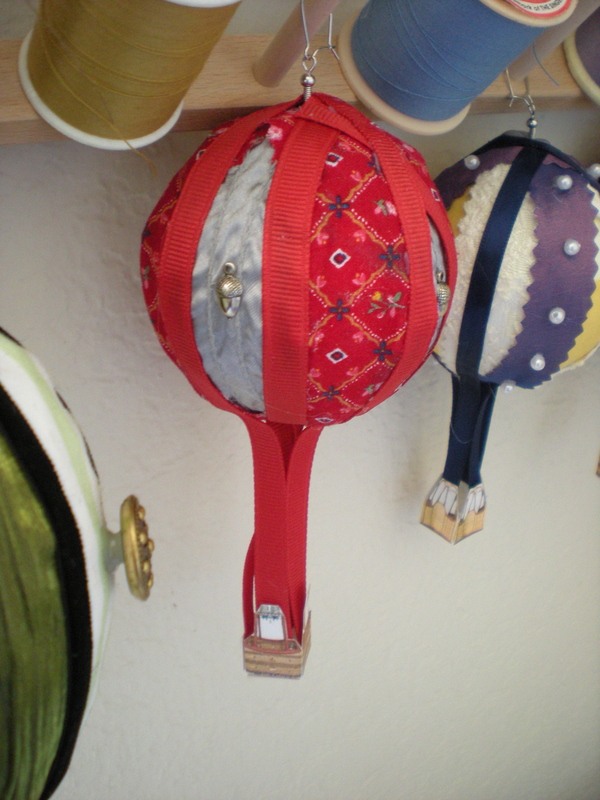 I plan to have my little fleet dangling from the ceiling of my bathroom. More details behind the jump. 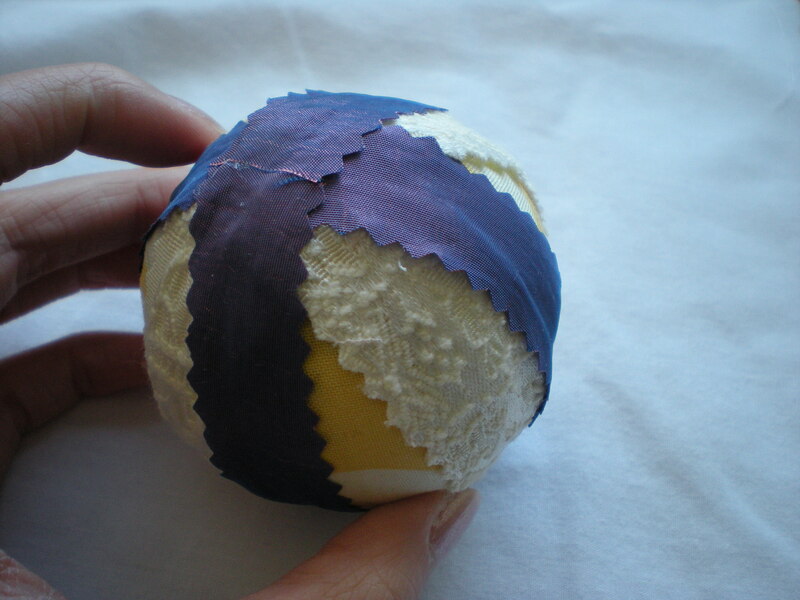 They are made by wrapping tennis balls and rubber balls with strips of fabric and ribbons. I hot glued bands of material around each one. 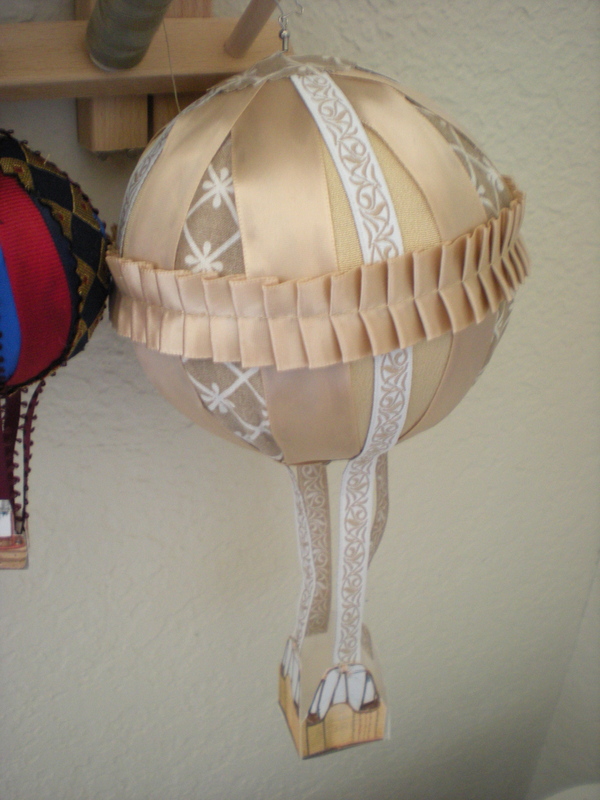 The raw edges were covered with ribbons, and some extra bands of ribbon were glued with dangling ends to attach to the baskets. 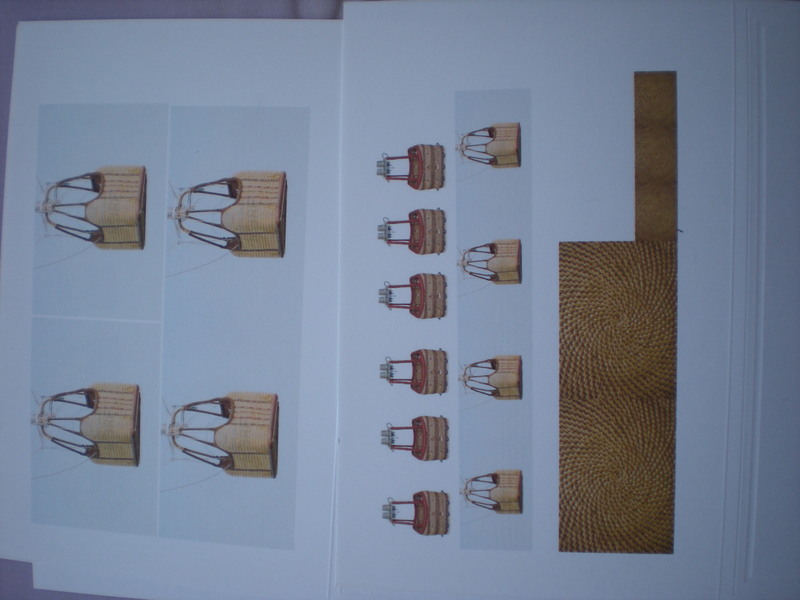 The baskets are made from thick paper. I printed photos I found online and shrank them to the right sizes. 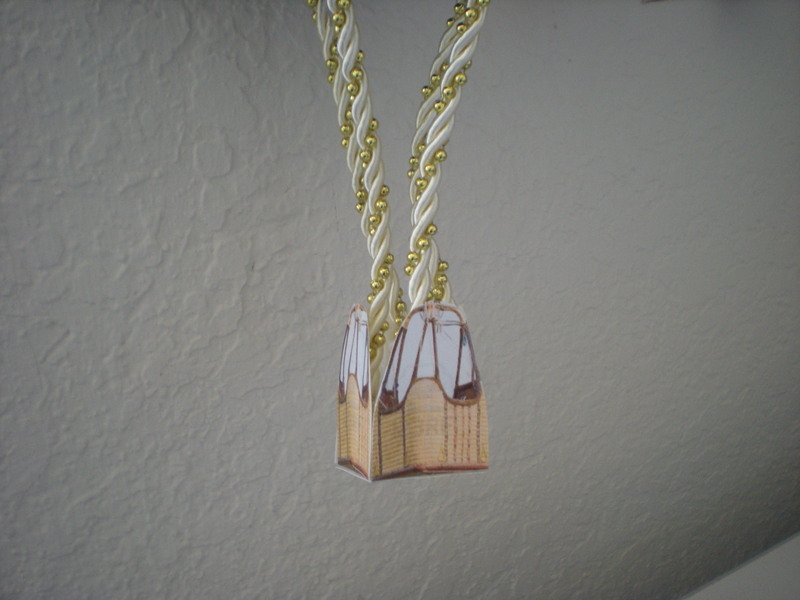 The hooks are meant for jewelry crafting earrings. All the materials were items I already had on hand, except for the balls. 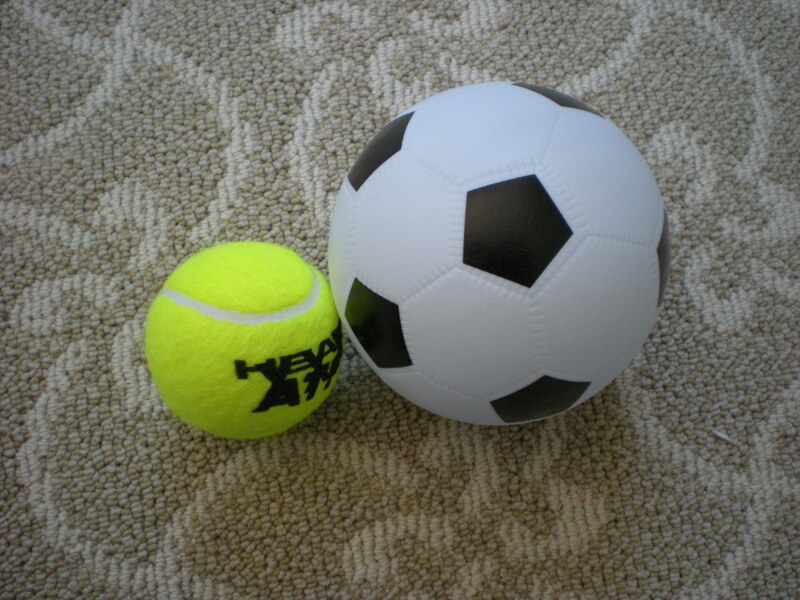 (The tennis balls were 3/$1 and the mini soccer balls were 2/$1 at the local dollar store). 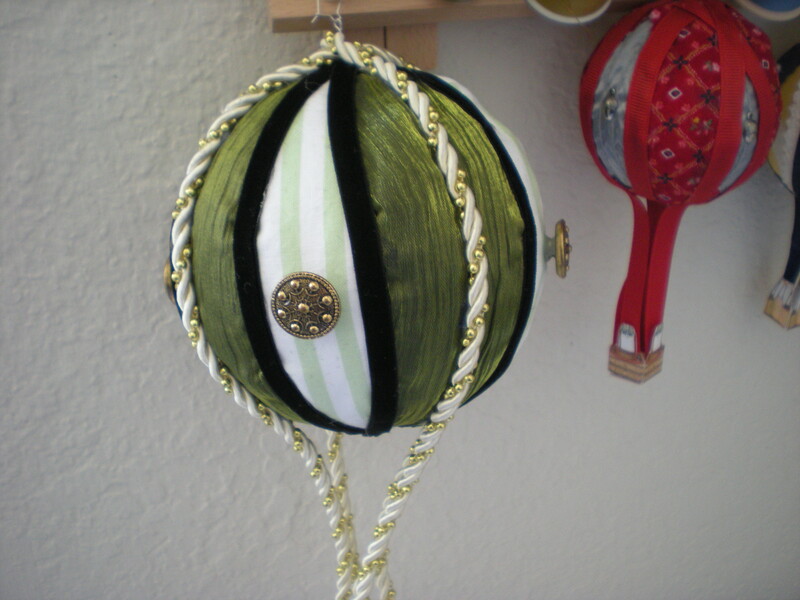 The green one is made with green/white striped cotton, a fancy green ribbon from a present, black velvet ribbon, gold braided Christmas trim and some buttons. 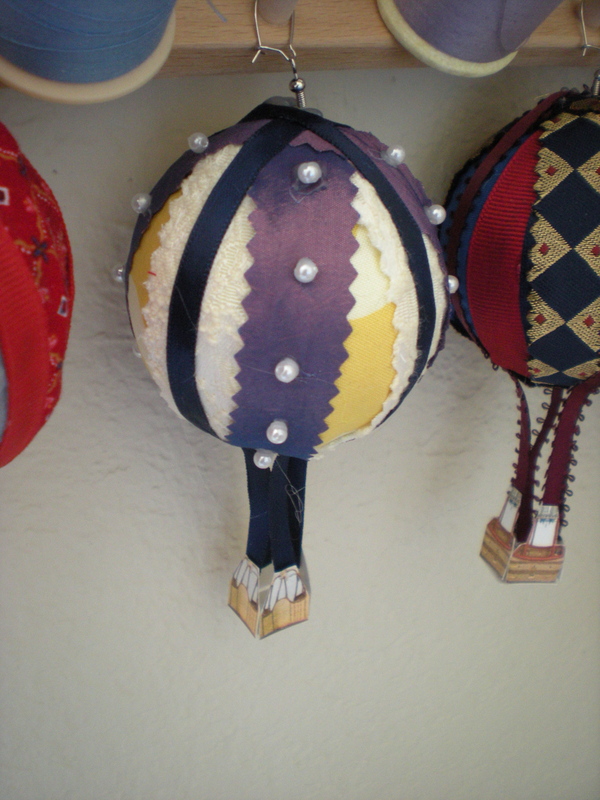 The small ones are made with various fabric scraps and trim. The yellow fabric is left over from my cabinet project. I just noticed I need to clean up some hot glue strings! The trim around the middle of the pastel one is ribbon I pleated. I need to get some hanging hardware, but then I will post my fleet in the sky! 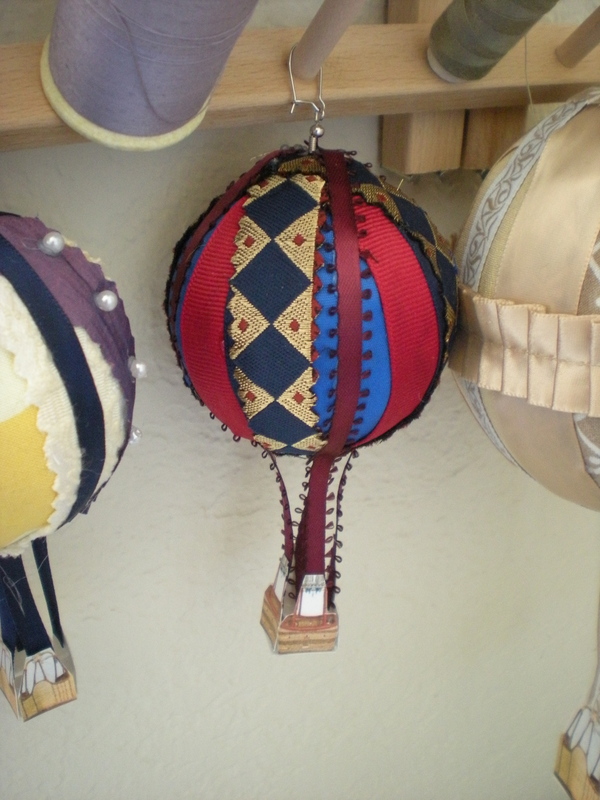 Posted in Uncategorized and tagged crafts, home, hot air balloon. Bookmark the permalink. Thanks! Yes, I have seen those lightbulb ones and they are very charming!